Raise your hand if you’re a fan of Chip and Joanna Gaines. Me, me, me! HGTV’s show Fixer Upper has taken the nation by storm and has a lot of us scrambling to channel our inner Joanna. And I’m right there with you. Pookie and I look forward to tuning in every Tuesday night to see Chip’s latest antics and to watch Joanna perform her magic inside the homes that they renovate. Perhaps one of Joanna’s most iconic pieces are the magnolia wreaths that seem to make an appearance in every episode. In recent weeks, I’ve seen her stray away from magnolia and use an olive or fern wreath instead. 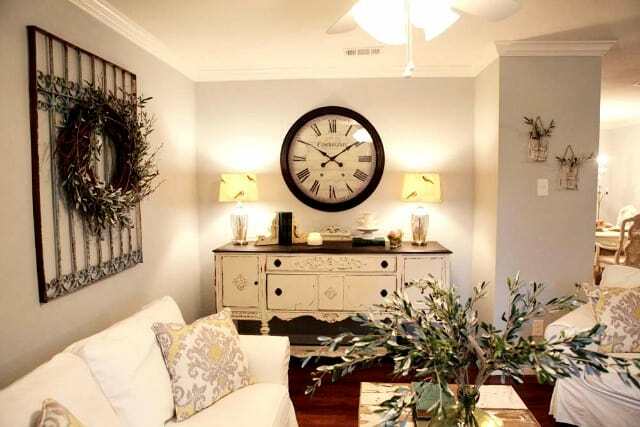 Another iconic piece that nearly always makes an appearance is a gorgeous, rustic clock. They always catch my eye and seem to set the tone for the room. Galvanized anything. 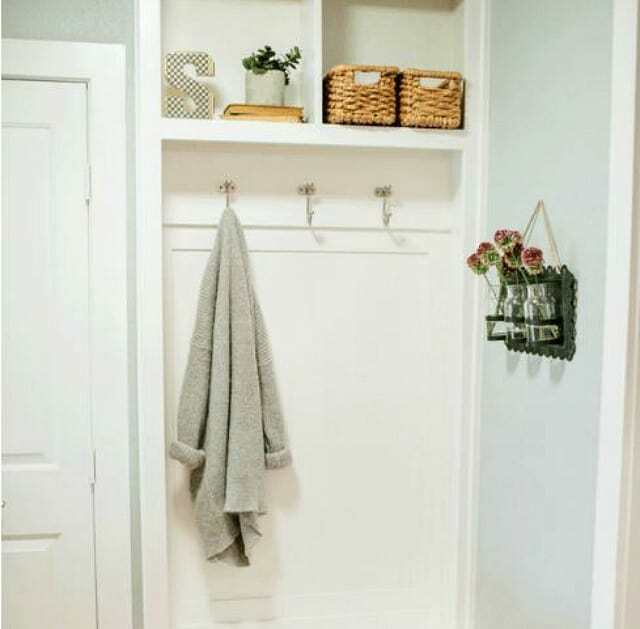 Trays, organizers, wall planters, tiered display stands, letters, numbers – you name it – it’s a staple of the Fixer Upper look. Joanna uses hanging planters everywhere. Whether with real or faux plants, they add so much life and texture to any room. There’s never any shortage of flowers in the homes that Joanna designs. It’s easy to tuck in few simple blooms in hanging vases. 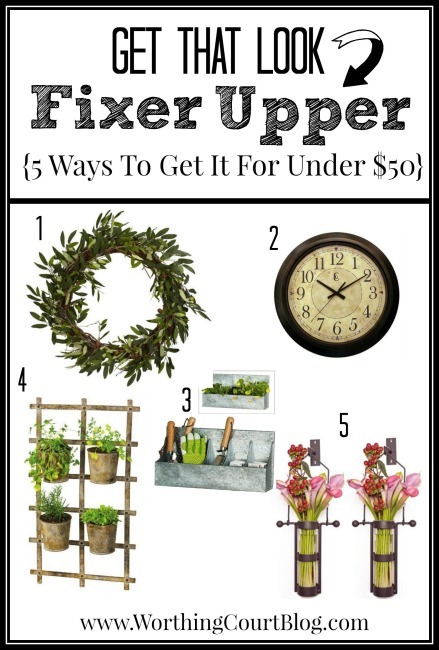 Here are 5 ways to get Joanna’s style in your home for under $50! UPDATE: Some of the items in the image have sold out since I first wrote this post. Where that has happened, I’ve provided links to similar products that will still give you the Fixer Upper look. Love Love Love Chip and Joanna’s show Fixer Upper. Can’t help but be amazed at what they accomplish. I fell in love with the magnolia wreath. I also love your blog!!! Thank you so much, Anne Marie. Have a great weekend! Suzy: It is also my fave show on TV. 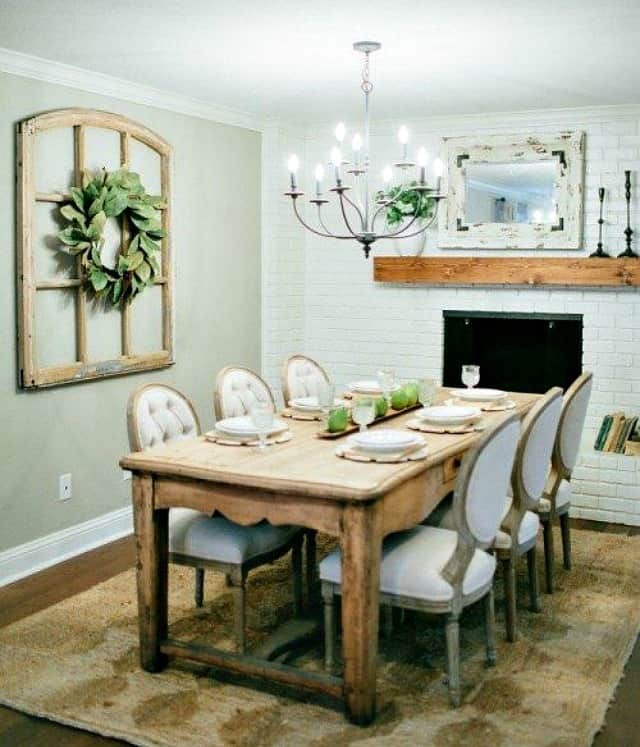 Love the way she decorates and how Chip and Joanna interact together! Have you found their website where they sell items like they use on the shows? It’s really fun and inexpensive. Yes, I sure have Joy. It’s a great shop filled with wonderful treasures! I’d love to take a trip out to Waco just to visit their store! Just catching up on some older posts now that I’m done with a few projects. Chip and Joanna are great! I was poking around World Market today and saw a few really cool (& inexpensive) wall clocks. I walked out of there with a galvanized desk tray ($14.99) with wood handles, embossed with the word “supplies.” It was in the office section, but I plan on using it in the guest bathroom to hold the cute little terra cotta fish-shaped foot scrubber (A must-have beach item for $2.99), a few nice soaps and lotions. Too much inspiration can be a dangerous thing for my wallet so the under $50 ideas are spot on! Thanks again! Love, love, love it when I can find a deal, Terri! The tray that you found at WM sounds so cool. I’ll have to run by there to see if they have one in our local store. BTW – I love clocks and could fill my whole house with them! I LOVE LOVE LOVE Fixer Upper! 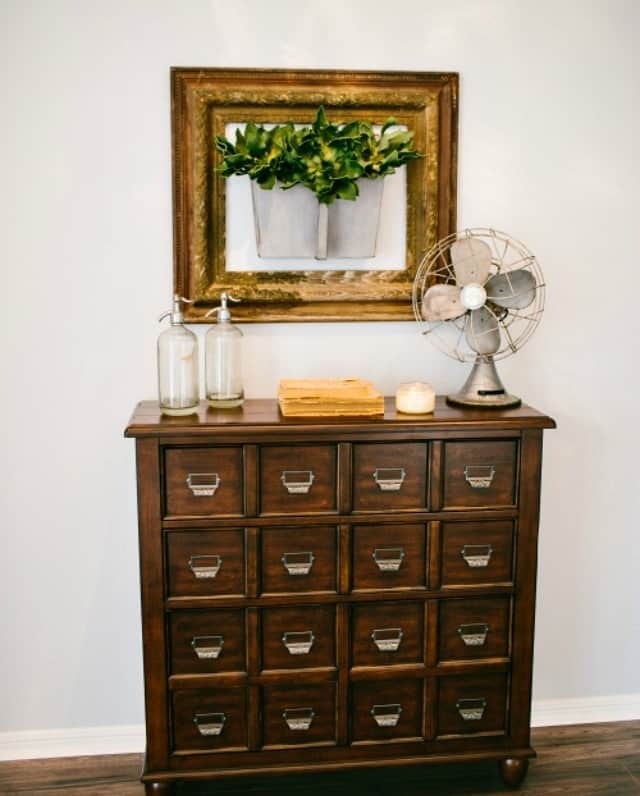 Inspired to get back into antiquing, thanks for sharing these tips. So glad you found them helpful, Colleen! 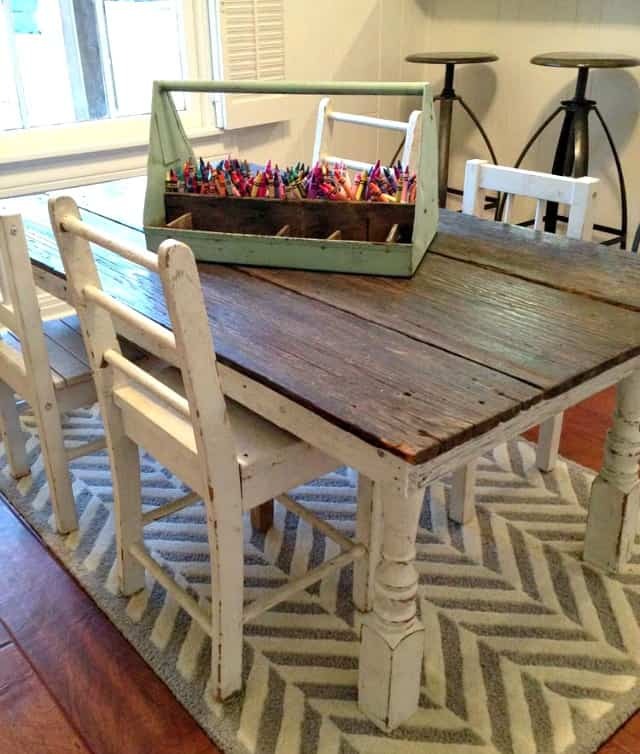 I simply love the Fixxer Upper Look!! Love getting ideas for creating my own decor.